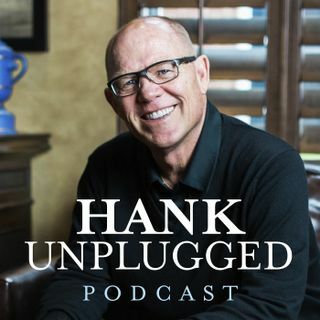 This week, Hank is joined on Hank Unplugged by Robert Spencer, director of Jihad Watch and the author of New York Times bestsellers The Politically Incorrect Guide to Islam (and the Crusades) and The Truth About Muhammad. He also wrote the foreword to Hank’s new book MUSLIM: What You Need to Know About the World’s Fastest-Growing Religion. Author of seventeen books and counting, Spencer is one of the foremost experts on Islam, and this conversation covers the many ways that Islam is putting our ... See More world in peril. Topics discussed include: the work of Jihad Watch (1:00); the danger of Islamic immigration without assimilation (2:00); the double standard of Islamic blasphemy laws (6:00); the largely defensive nature of the Crusades to counter Islamic aggression (7:30); why Robert has dedicated his life to revealing dangerous truth about Islam (11:30); the denial of free speech when it comes to Islam (17:30); the unlikely alliance between the liberal left and Islam in the West (20:30); Confessions of an Islamophobe (23:00); Robert Spencer’s ban from entering the UK for talking about Islam (30:00); what PayPal’s ban of Jihad Watch says about free society (36:00); Robert Spencer being poisoned in Iceland (43:00); the truth about the group CAIR (53:00); the distinction between Jesus Christ and Muhammad (56:00); what faith will replace Marxism in China? (55:00); the distinction between Jesus Christ and Muhammad (56:00); Saudi Arabia and the spread of Wahhabism (1:08:00).